[ARCHIVED THREAD] - For those who did get hammer bite, did getting the C&S no bite hammer help? So just like the thread title says, did it help? I did surf through all 5 pages of this subforum here first, mainly looking for hammer related threads. The BHP's I have tried in the stores all had spurs, and looked like they would draw my blood first shot. Yes. My paws aren't huge but, I will get a bit of hammer bite on my bone stock '72 C-series. When I had a custom MKIII built up, I used a C&S no bite hammer and haven't ever been bitten. No problem here wit my bone stock MKIII. It's funny, the spur hammer causes me no problems. Everyone is different. What is good for me might not be good for you. I'd say try it, as is, and see if you have a problem. If you do, replace the offending part. I finally got bit by my factory spur hammered MkIII...not a lot but it was enough to draw a little blood after 200 rounds. The earlier T-series rowel hammers would draw a LOT of blood, but the Mk3 spur hammer really doesn't do that to me. In my case it was literally just a little bit of the hammer hitting flesh after a while, and using a grinder to lop off one or two serrations worth of hammer would cure it. Edit - I too hold my grip up high, high enough so my hand goes over the rear of the frame a little tiny bit. If it works for you I'd go the C&S way if you don't want a spur hammer. If you want to keep the spur hammer, you can send it to Novak to have their no-bite modification done to it...I don't know if you can send just the hammer, but it's worth looking into. Or, break out a grinder and do the mod mentioned above yourself if you're feeling brave. I've been a BHP guy for a lot of years. I never experienced any problems with hammer bite, until about four years ago. I've had that gun for a long time, and only now it bites, just a little. I put in the C&S no bite hammer and sear. Problem solved. I grip really, really high-and without modding my hammer, I'll get sliced pretty good; even got scars from years of doing it. With a modded hammer, I'm perfectly fine. I have one on a BHP 40, works great, I also just cut the tang back about 1/4" on one of my older ones and it fixed the problem also. Official Site Nickname, given by NorCal - "Smack"
My MKIII with the spur hammer bit me a little but my FM M95 with the ring hammer bit worse. I cut it back and reshaped to a shorter spur type profile and it doesn't bit anymore. -"The truth does not require your belief in it to function." -Genuine science is about gathering evidence and testing the veracity of theories, not cheerleading for a particular ideology. There are two ways a HP will bite; one is with the tip of the hammer hitting the bulged muscle of the hand, and the other is the 'pinch' from the hammer catching the web of the hand between it and the tang; the second is what the no-bite hammer is intended to fix, and for me, at least, it works. I experienced both types I think with the spur. I ended up trimming the spur with a dremmel and relieving it on the bottom as well, similar to the C&S hammer. Did the same type of thing with two of them and no bite on either anymore. You show a 1911 to your friends, you show a Glock to your enemies. The round hammer Hi Powers bite worse then the spur hammer Hi Powers, which was one of the reasons FN made the change. The cause in either case is a high grip, although some people with large meaty hands just get bit anyway. The bobbed hammer on the SFS hammer solves the problem as does the C&S hammer. High grip equals bite, lower grip equals no bite. bobbed my hammer 3 lines back and beveled the edges and no more hammer bite and no problem with any ammo or hard primers took about a half hour . As others have said, the C&S no bite hammer WILL prevent both forms of hammer bite. Try shooting it first and see if it actually is a problem. One of my Hi Powers tears me up without the C&S no bite hammer. The others don't bite me at all. I guess I will have to give it a try first. I have larger meaty hands and use a very aggressive high grip. My solution was a C&S beavertail. Problem solved. Just a note - if you go for a C&S no bite hammer, you MUST use one of their hard sears with it. The C&S hammer is apparently too hard for the factory sear (so I've read on the internet, so it must be true). Since you have to remove the sear to replace the hammer it's probably not going to be a big bump in the road for you, just be aware of it. If you replace the hammer, it is a good practice to replace the sear too. Keep them as a matched set. You will not have to deal with removing the STAKED and PEENED hammer strut pin. Just add your hammer to the new strut and stake the new pin in place. Install your new sear and you are set. 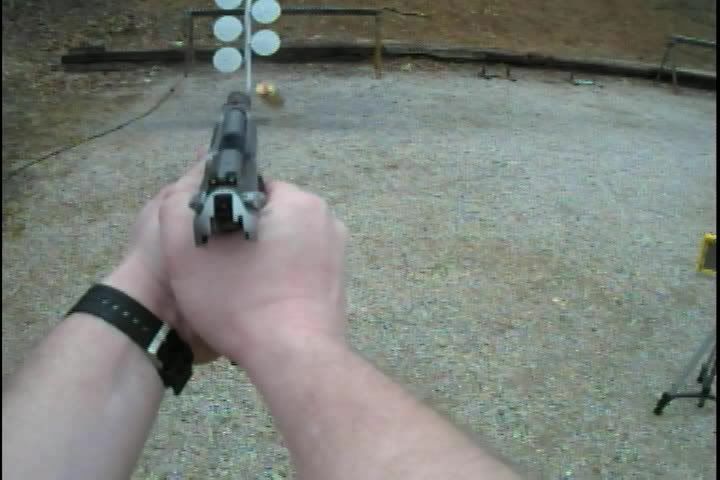 Function check your gun and watch/listen as you preform the 'click test'. Not hard at all. 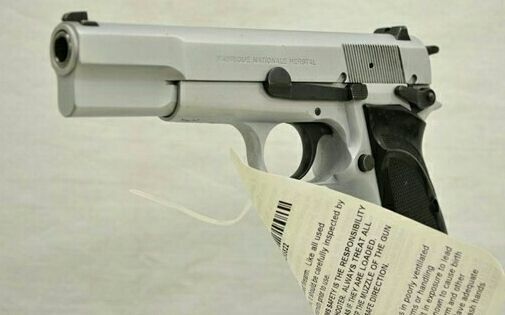 Browning is still using their 2008 price list, so parts are as cheap as you will ever find them. Add recoil springs, firing pin springs and a FP retainer plate and you have an order. I shoot with a high grip so I get bit. My Springfield Milspec does it too. Doesn't really bother me much on short runs, but if I'm going to have a longer shooting session I will wear a glove. I put about 40 rounds through it last week. I had to rush out to a gunstore in St. Louis to get 3 new MecGar mags for it. The mag that came with it had issues. Seemed like the follower was hanging up. I didn't get bit. The spur of the hammer left an impression on my hand. That was it. When I get a holster for it and actually do some drawing from it, that hammer might have to go. That narrow safety might have to go too. By then, I will have some pivothead glasses and I'll be back to post the youtube video link. I have a very clean FEG Hi-Power clone, that I bought used. He had the Cylinder and Slide Hammer and trigger installed while he owned it. It has the very best trigger I have ever felt on a Hi-Power...I've owned 4. The trigger breaks like a glass rod, with no creep, and a positive reset. But the best part is the hammer; While it appears as a standard Ring hammer from Browning, it must be shorter, as I have a high grip on the Hi-Power, and have yet to be bitten. The original owner had C&S Novak sights installed. No tritium, just black metal goodness.....this gun is like a laser! It had a set of Herret palmswell cocobolo grips when I received it. but purchased a set of Philippine mahogany grips form Brownell's. They come unfinished, so 4 applications of Tung oil really made them beauties! Long story short, if you are on the fence, go with C&S. they do awesome work, and the hammer/trigger combo are what dreams are made of. Relax Ma'am, I'm an Operator.